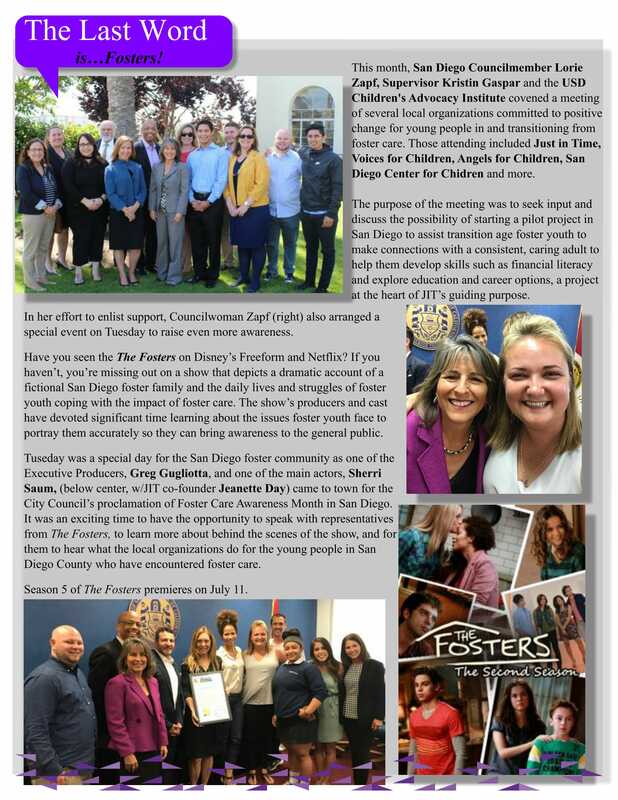 This week’s Monday Memo is a bit late because we wanted to share an exciting event that helped close out Foster Care Awareness Month in a very special way, courtesy of Councilwoman (and former foster youth) Lorie Zapf. 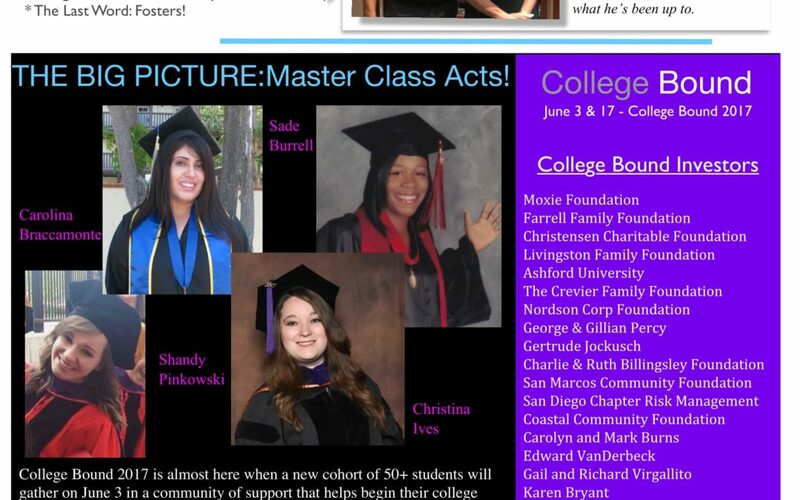 Check in out in the Last Word. 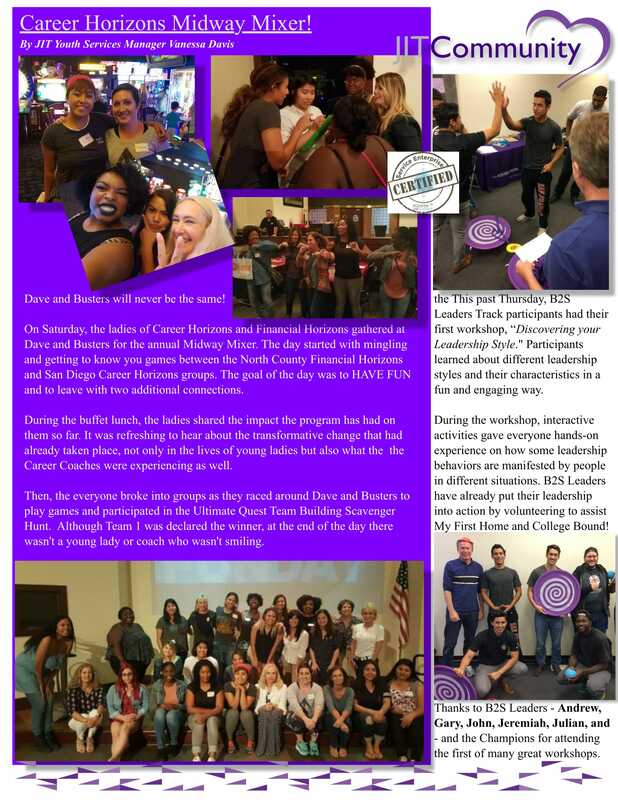 May has also been a busy month for College Bound prep, Career Horizons mixers, and Bridges to Success leadership. You’ll find it all in this week’s stories. 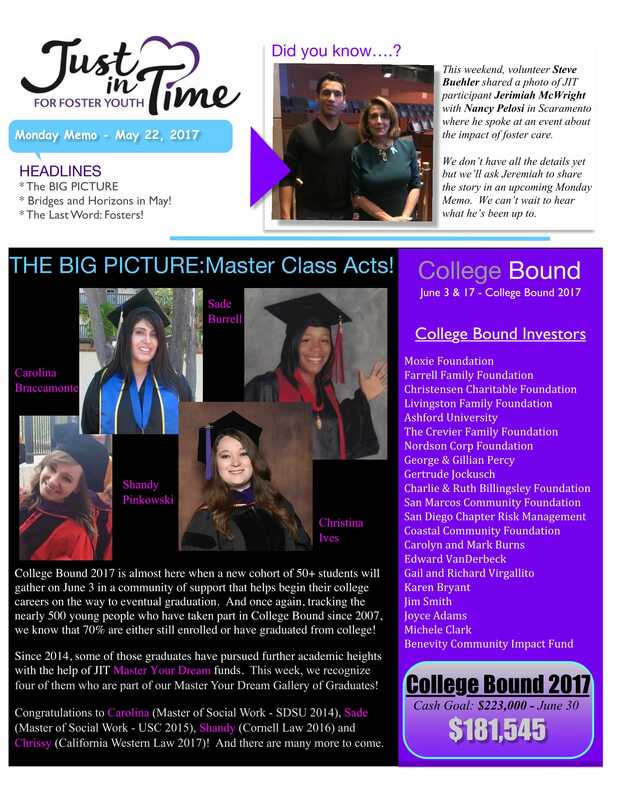 The next few weeks, we’ll be all about College Bound as we near the first of two Saturdays devoted to young people beating the odds on their path to graduation. We’ll continue to recognize significant success stories, like Carolina, Sade, Shandy and Chrissy who you’ll read about today, and the investors who helped make that success possible. And we’ll keep moving toward this year’s College Bound funding goal of $223,000 (we’re 781% there)! Have a great Memorial Day weekend and thanks so much for all you do!